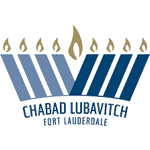 A full service Jewish Library for research and study is located at Chabad. Whether you are looking for English, Hebrew, Chassidic, Kabbalah, Talmud and others we have it. To arrange a learning partner for any subject your interested in contact the office at 954-568-1190 or email edu@chabadfll.com. Join us this very special Moshiach Seuda as we say good-bye to the Passover holiday! All are welcome!